Do you know which number is MAGIC? Children from 3rd grade they already know this! Can you guess it? Not yet? Ok, here you are. The number we are looking for is 3. We are going to learn about the 3R's. That's why 3 is a magic number. Three is the number of the good attitude towards the environment. And you know how important is to clean up the environment. Three refers to REDUCE, REUSE and RECYCLE. Children from 3rd grade are learning about the 3Rs by singing, playing and discovering. You want to know how? Ok, but first, listen to the next song. Children usually learn English by songs. It would be great if they learn the lyrics. How many things can you put in a plastic bag? The more uses we give to our daily materials, the better. We learn where to place the waste we produce according to the bin colours. That's the best way to learn about recycling! 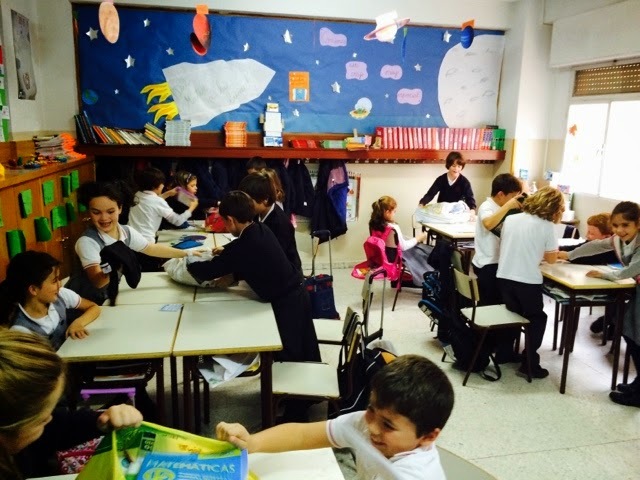 Welcome to this new course 2014-2015 at Mater Immaculata school. We would like to announce you we are back to work again! And as you can see, this blog has been modified into a new and more modern version. - Follow us by email. - A new way of organizing the blog. - Web resources different from entries. - Subjets will be organized differently. We would also like to know your opinion. Do you like the blog? What other things you suggest we might include? We will study all your suggestions, therefore feel free to write us a comment. 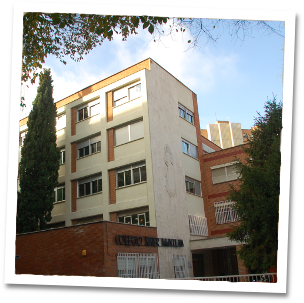 Bienvenidos a este nuevo curso 2014-2015 en el colegio Mater Immaculata. Nos gustaría anunciaros que estamos de vuelta y, como podéis observar, el blog ha sido modificado y actualizado a una nueva versión más moderna. - El ``siguenos por e-mail´´. - Una nueva manera de organizar el blog. - Vamos a poner los recursos de web en la columna de la derecha en vez de en las entradas. - Una lista de otros blogs que tiene el Mater. - Las asignaturas esperamos organizarlas de manera diferente. También queremos saber vuestra opinión. ¿Os gusta el blog? ¿Qué otras novedades podríamos incluir? Estudiaremos todas vuestras propuestas, por ello no tengáis reparo en escribir un comentario y proponernos vuestras ideas.